Today’s photo highlights a set of replacement paddles for a pug mill. Abrasive or corrosive materials may cause premature wear on paddles. Regular wear, over an extended period of time, may also serve as a reason to seek new paddles. 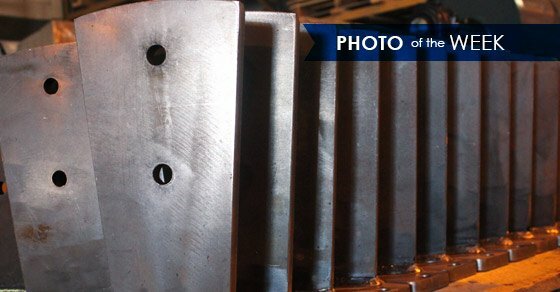 No matter the reason, paddles are the central component to a pug mill, and should be readily available if replacement is necessary. Whether you are operating a FEECO pug mill or otherwise, our team is ready to quote your needs. For more information on pug mill spare parts, contact us today!